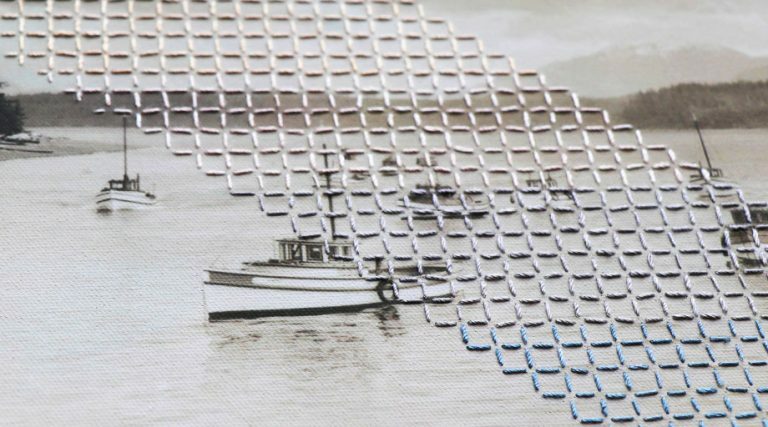 Local artist and librarian Hillary Webb is using images found in UBC Library’s open source collections to create original art. 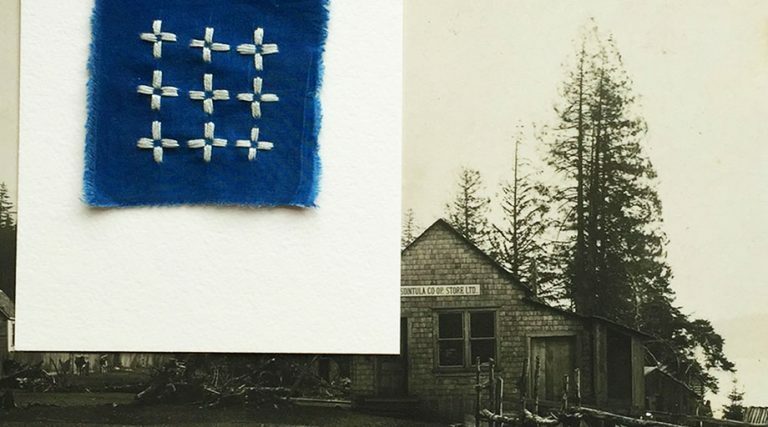 The pieces, a mélange of historical photos from UBC Library’s Open Collections and embroidery work, were born out of Webb’s one-month long artist’s residency in 2016 in a town called Sointula on Malcolm Island, off northern Vancouver Island. Before setting off for the residency, Webb did extensive research about Sointula and Malcolm Island, finding photos in both the Vancouver Archives and UBC Library’s Open Collections, in the Fisherman Publishing Society Collection. The collection of almost 4,000 photographs, part of UBC Library’s Rare Books and Special Collections, were taken between 1862 and 1980 and are from The Fisherman Publishing Society, which was formed in 1937 to publish The Fisherman, a bi-weekly newspaper. Sponsored by the Salmon Purse Seiners Union and the Pacific Coast Fishermen’s Union, the newspaper documented industry events and encouraged unity among West Coast fishermen; today, the newspaper continues publication under the United Fishermen and Allied Workers’ Union (UFAWU). 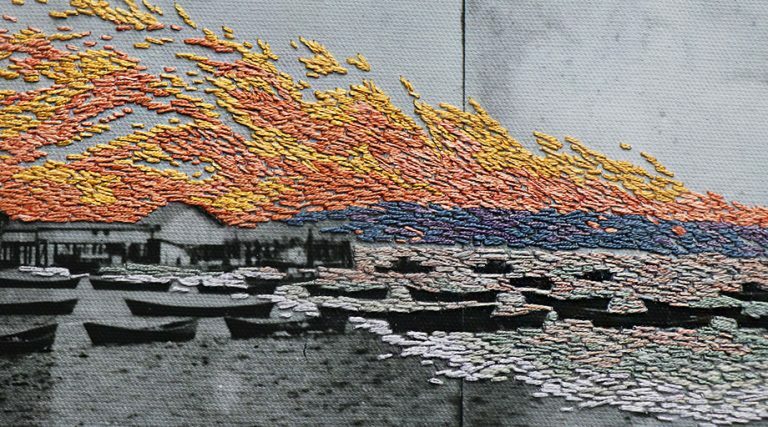 To prepare the images for embroidery work, Webb had the high resolution photographs printed to about 2’ x 3’ on paper and canvas then stretched around a canvas frame. She looked to local plants to dye her threads. “My husband found a book about First People’s plant technology by Nancy Turner and sent it to me while I was in Sointula, and this helped inform my dye experiments.” From black twinberry, used by the Haida as a hair tonic to prevent greying, to Horsetail, a local weed that produces a light green colour, Webb used as much local flora and fauna in her work as possible. “I also did a lot of overdyeing, which is mixing colours together,” she explains. Visit Webb’s exhibit, Creating Colour in Sointula at Emily Carr’s Faculty Gallery from Nov 17 to Nov 24. Visit Webb’s website to see more of her work.